Harley technician books are an important part of every Harley Davidson technician's tool kit. Of course, every tech wants to have a complete set of Harley Davidson repair and specification manuals for recent year models and common older models as well. However, there are some other really wonderful books that fall into the must-own category for the Harley Davidson mechanic or technician. One Harley technician book series is a must-have. 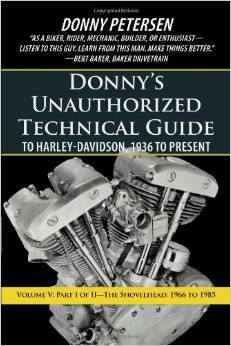 It's called Donny's Unauthorized Technical Guide to Harley-Davidson to Harley-Davidson, 1936 to Present. It's basically a bible for Harley folks which contains 12 volumes. Each of the dozen volumes can be purchased separately so the investment doesn't have to be made at one point in time. It is an investment to own the full set of technician guides, but it truly is worth every penny. The volumes focus on various models and if you can only afford a few of the volumes, select Volume 8, Lubrication, Volume 9, General Harley Tech, and Volume 11, Tech Tips. But you will want to add to your collection until you own the complete set of 12 volumes. 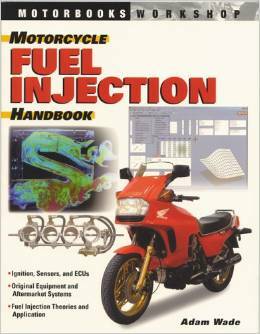 The Motorcycle Fuel Inject Handbook by Adam Wade is another must among the wide selection of Harley technician books. Included in this work are remapping tips, racing bike injection systems, expected future developments and so much more. Fuel injection is a technology that any motorcycle tech needs to understand completely and this is the book to explain things well and provide information on how to make the fuel injection system provide optimum performance. The Big Book of Harley-Davidson: Official Publication by Tom Bolfert is published by Harley and is a new, revised history of the story behind all Harley's famous models. As a Harley tech, it is not enough to know how to work no the motorcycle, you need to be able to talk the talk as well and this book will fill you in on any areas in which you might need some coaching. The color photos make this book perfect as it traces Harleys from 1903 to the present. 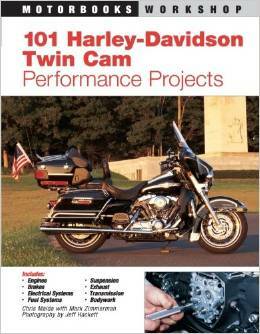 Mark Zimmerman and Chris Maida's 101 Harley Davidson Twin-Cam Performance Projects is another great Harley technician book. This paperback is extremely well thought-out, including information at the beginning of each of the 101 projects detailing the expected time to complete the project, the tools, expertise level, expense, benefits, good complementary mods to consider and special tips. This book can be great as a sales tool for showing clients exactly why they should consider performance enhancements on their twin-cam Harleys. A fun-to-own Harley technician book that every tech and most Harley owners will truly enjoy is The Harley-Davidson Century by Darwin Holmstrom. The hardback version would make a fantastic gift for your favorite Harley tech on a special occasion. Featuring beautiful photographs and American's finest writers, this book isn't a how-to, but it is a wonderful history of Harley and their iconic motorcycles.